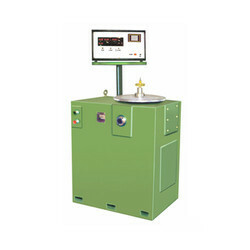 Leading Manufacturer of brinell indentation measuring instruments, analog measuring system for two plane balancing machines, krystal met software for material testing, analog measuring system for fan balancing machines, measuring system for single plane vertical balancing machines and computerized measuring system from Kolhapur. 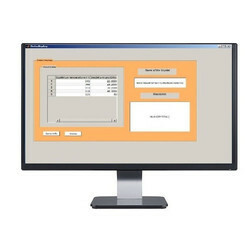 The Computerized Brinell Indentation Capture And Analysis System'BICAS' virtually eliminates operator influence. It is found that measuring brinell indentations can result in measurement errors between operators. This 'bicas' can virtually eliminate operator influence on test resultJust place and click 'bicas' is easy to operate. With this handy instrument entire test sequence is simple. Place the scan hand on the work piece on 'auto' in tool bar on computer screen. The 'bicas' automatically measures the diameter of indentation with resolution of 0. 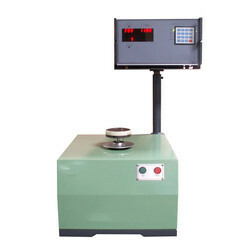 01mm and display brinell value with diameter measurement. All data storage functions are automatically performed according to batch parameters. The 'BICAS' can be configured to meet your needs. An unlimited number of batches can be created each with its own test parameters and certificates. The operator can select test load and indentor size with arty name, address, certificate no. Date batch no. And description, high and low limits for readings etc. The previous batches can be reopened for viewing and address change etc. 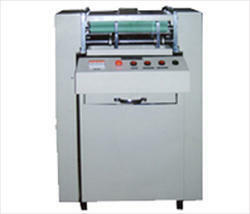 The 'bicas' has built in statistical capabilities with graph and certificate for report generation and printing. It includes frequency distribution and variation graphs. 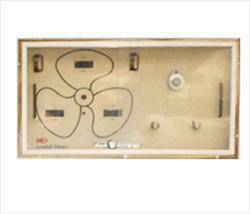 The systems includes calibration and check facilities to calibrate the systems and for checking of calibration. This eliminates any systems error in measurement. 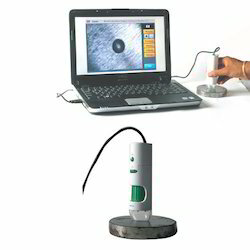 The range of measurement is from 1mm to 6 mm of diameter with resolution of 0. 01mm. Krystal Met 4.1 Software is a latest release of material testing software from Krystal.It has got evolved from years of research and customer feedback from wide application areas. Based on the .net platform, it is very user friendly and easy to install. KrystlMet 4.1 is capable of capturing data from various Krystal make tetsing machines. Online graph of load/stress v/s displacement / extension/time. Looking for Measuring System Options for Balancing Machines ?